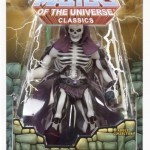 Mattycollector.com has posted in- and out-of-package images of the upcoming Masters of the Universe Classics Scareglow! According to the card back, his real name is Karak Nul. 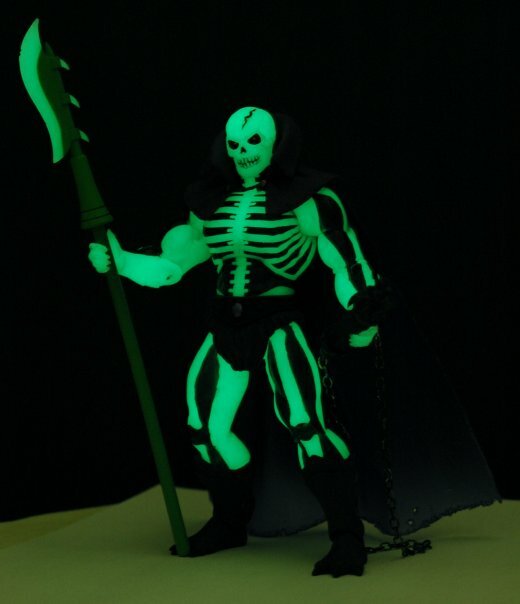 Scareglow is the November release for the Classics line and will come with a Scythe of Doom and a scroll-and-chain with a mini Castle Grayskull on top (most likely a reference to his bio). Click on the headline for all the images. "In life, Nul was a shifty bounty hunter who spent years attempting to break into Castle Grayskull, obsessed with legends that within lay the power to become Master of the Universe. In death, he was cursed and banished into the dimension of Infinita - forever chained to his past crimes. 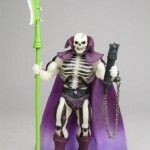 He was brought back to Eternia by a magical spell of light cast by Skeletor to locate the most eveil warriors in the five dimensions. 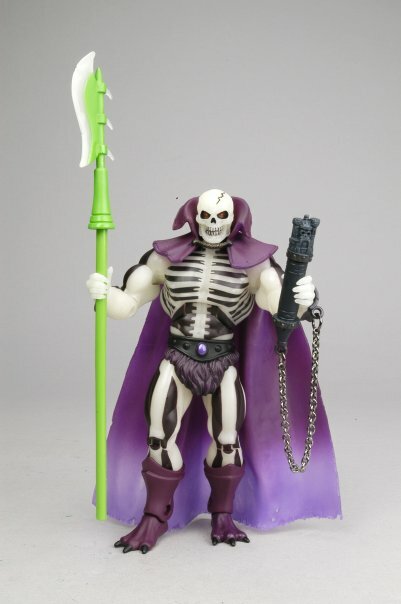 Provided with a Scythe of Doom, Nul agreed to join forces with Skeletor and quickly became known as "Scareglow" due to his ability to burst forth and freeze enemies with fright." I also like how they added the word "Serving" in his descriptor, so it's clear he is NOT a ghostly version of Skeletor from the future. Pretty cool figure. 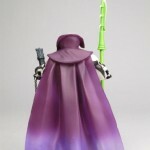 This might be one of those figures that stays there for awhile before selling out. Especially if the release date is the same as the He-Man re-issue. I'm so getting this. I never had one as a kid. This is an absolute must-have for me. man i want him so bad! Awesome, WANT WANTNOW!!! thats the only problem with this line, the WAITING...the waiting is murder! With the speed these figures have arrived lately, I'm probably be getting Scareglow just before Xmas. There is a new Scareglow review at The Fwoosh. 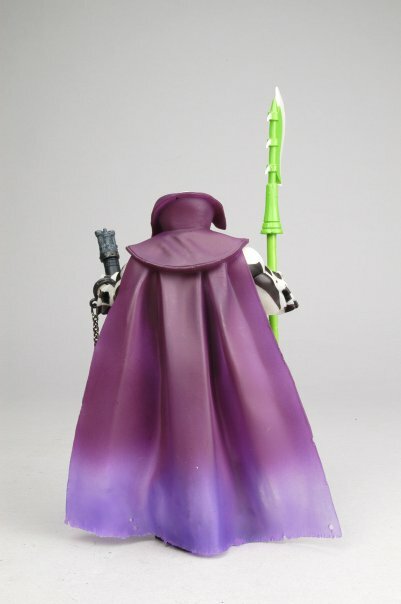 That really is a good looking figure. I'm blown away by that Key of Grayskull accessory. I've been tempted many times by this line but have not yet purchased any. This will be the one that pops my cherry. I've tried to buy something from this line many times, but have not yet purchased any...because they are sold out by the time I can get there. Not this time. I'm going to get one. Good for you. And welcome aboard. Thanks and thanks. It so happens that Oct 15 even falls on payday! If I miss out this time, I will no longer be able to look at myself in the mirror. On sale tomorrow at noon! 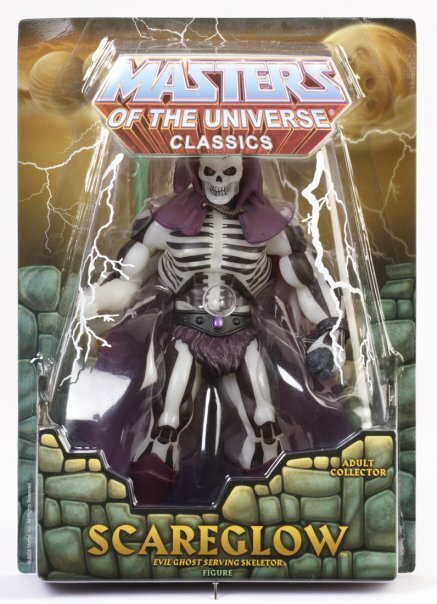 Matty posted on facebook that both Scareglow and the He-Man reissue are selling out a lot faster than he expected. So get your orders in now! Ordered one and a He-man today. 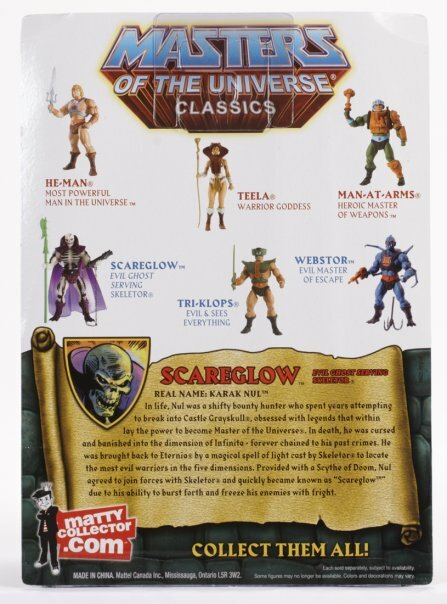 Missed He-man the first time around, but really looking forward to Scareglow. I still have the original too. I'm going to have to get him out and do some comparisons once the new one arrives. He's still available as of right now. 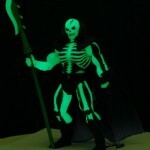 As of 920 this morning He-Man is sold out but Scareglow is still available.